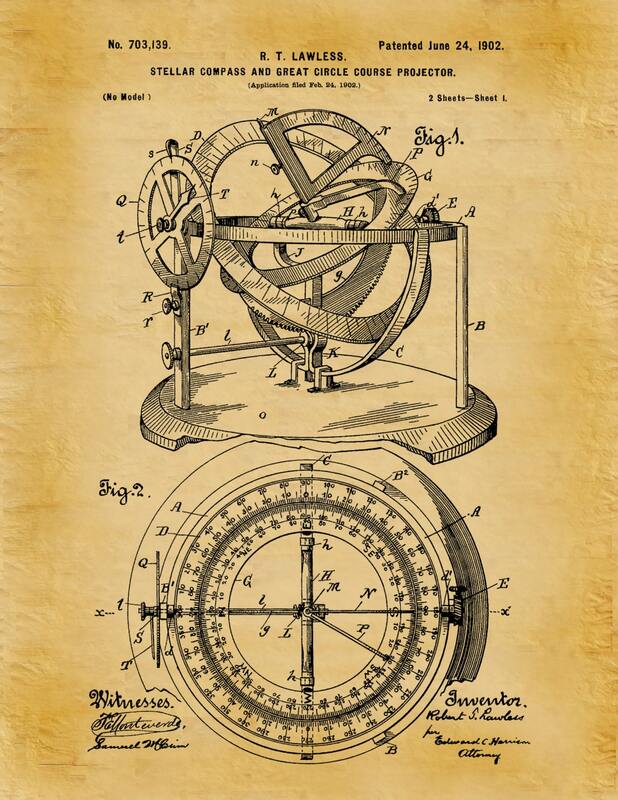 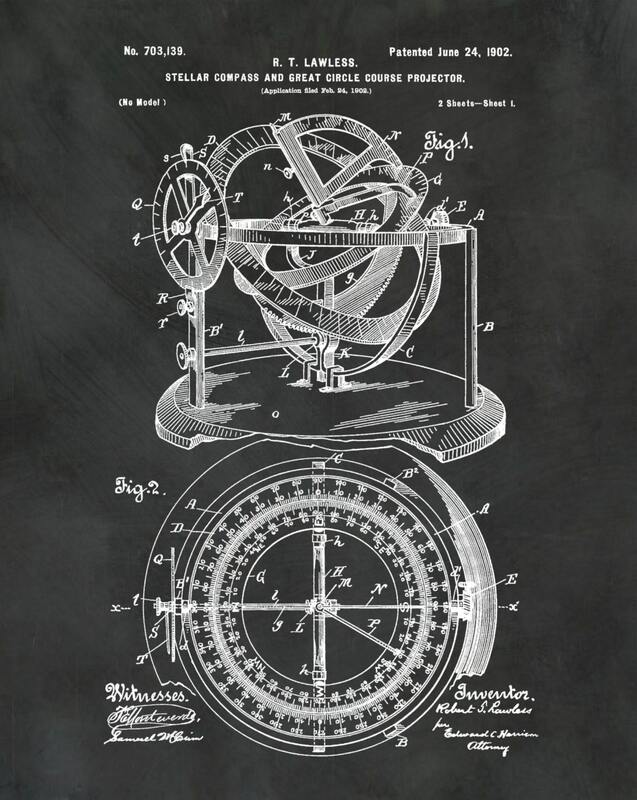 1902 Compass Patent invented by William Lawless for the purpose of a Great-Circle-Course Projector, Stellar Compass. 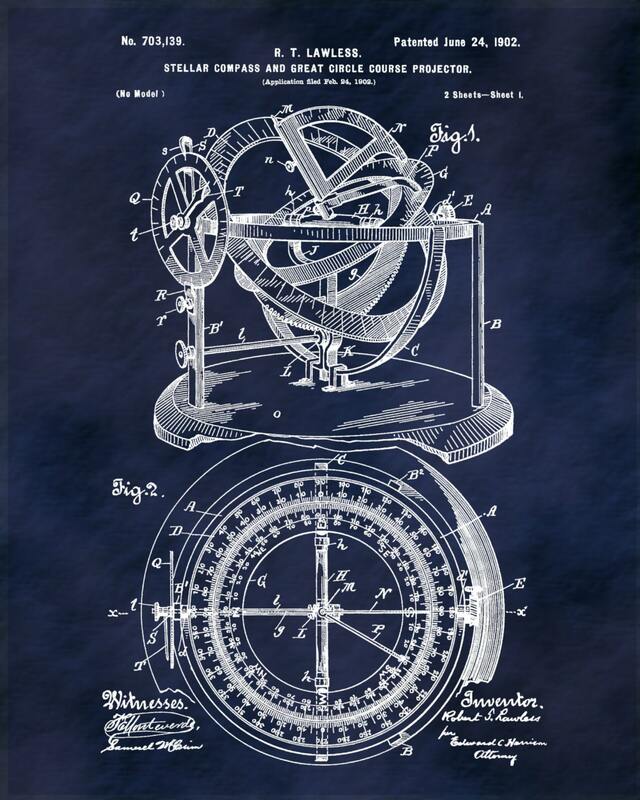 The patent was issued by the United States Patent Office on June 24, 1902. We received this in a very timely manner. 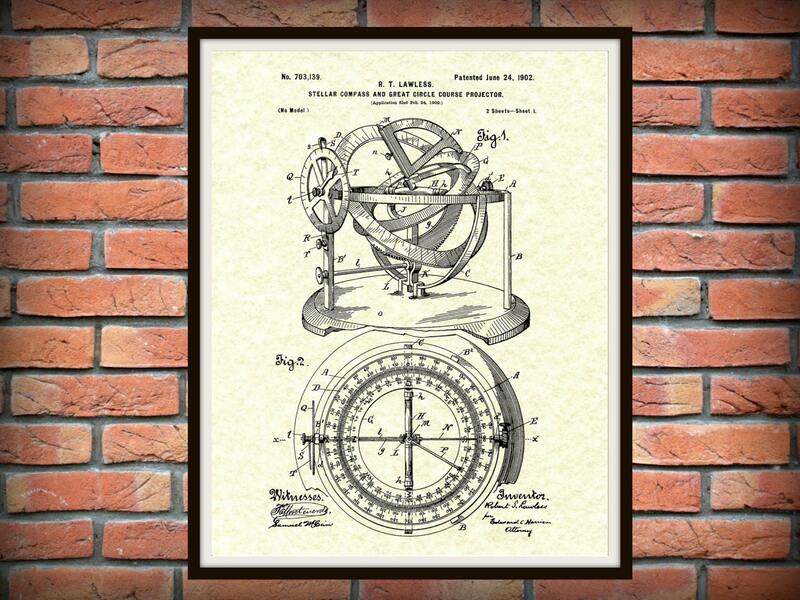 It's already framed and hanging on the wall.